Is Your Caribbean Yacht Charter Destination Sustainable? A: The yachting industry continues to make great strides in it’s commitment to sustainability: from green initiatives to reduce plastic water bottle waste, to mega yacht charter vessels offering carbon offsets. But the industry’s efforts are only half of the equation. The destinations and their commitment to their residents’ well-being and the protection of the environment are crucial for long term sustainability. 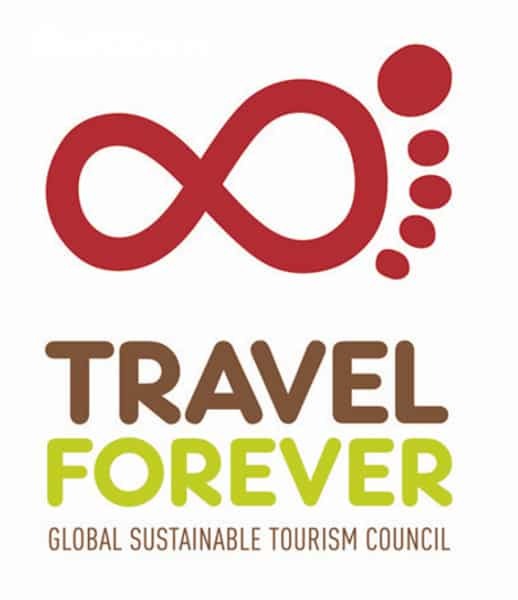 Tourism management strategy – Does the destination show that they care and implement strategies for its local economy, environment (including climate change) and social/cultural factors? Local community benefits and economic opportunity – Does the destination track and report its local economic contributions; provide equal employment and training opportunities and extend opportunities to those who live in poverty? Visitor management policies – Does the destination have policies designed to conserve key attractions and landscapes? Do visitors receive direction so as to not destroy of natural and cultural assets? NO TICKY, NO LAUNDRY ? So, you’re just itching to get back on the water and enjoy another private luxury yacht charter vacation. Suddenly, you remember your wife mentioned it was time to renew your family’s passports…six months ago! Now you’re in a pickle. 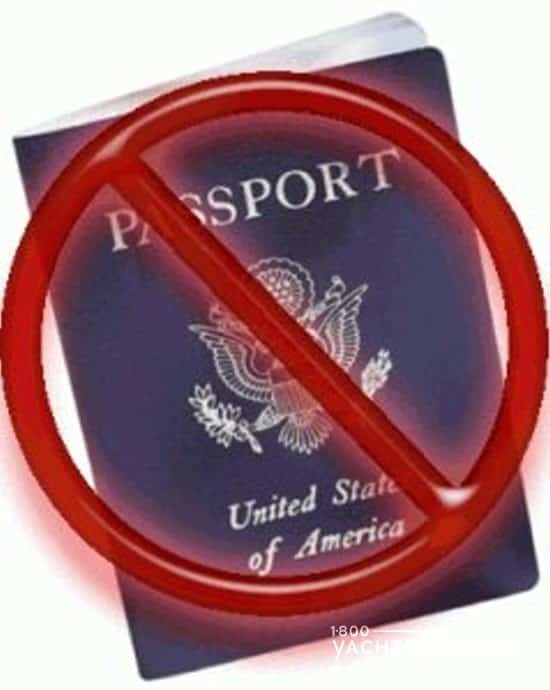 You go to the United States Department of State website, and your heart sinks… According to the site, the total time it takes to process a routine passport application, and for you to receive the mailed passport, is 4 to 6 weeks. Yikes! Even with expedited (code for: “more expensive”) service, it will still take at least 2-3 weeks from the time of application, including mailing time. Without valid passports, it looks like that last-minute charter yacht vacation is going to be put on hold. Fortunately for you, there are several great Caribbean yacht charter destinations where a passport is not required to enjoy a luxury yacht charter holiday. These destinations are often overlooked by Americans – bypassed for the traditional charter hotspots like the British Virgin Islands, St Barts, and the Bahamas. Most are within a half-day’s travel time from much of the United States, and are all are well worth a visit by boat. US VIRGIN ISLANDS (St. Thomas, St. John, St. Croix, and Water Island) – Just a rock’s throw away from the more popular British Virgin Islands, the USVI is ideal for a short-term getaway, say 3-4 nights. Yes, there are dozens of small islands to visit in the BVI, the USVI has some great protected anchorages, wonderful snorkeling, fantastic nature preserves, and a major international airport in St. Thomas that makes coming and going a snap.Yacht Charter tip: consider starting your trip from Red Hook (St. Thomas), on the east end of the island, versus the downtown area of the capital, Charlotte Amalie. This way, you can avoid the congestion and large crowds of tourists that swarm Charlotte Amalie when the numerous cruise ships arrive. 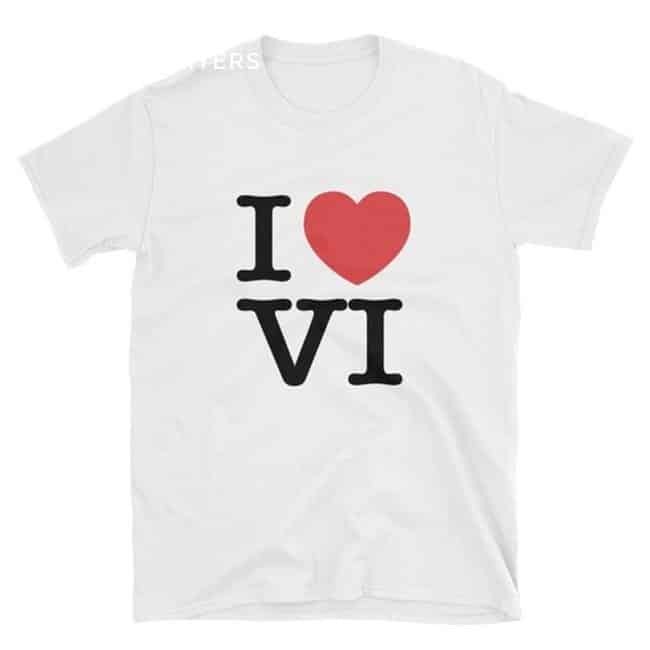 SPANISH VIRGIN ISLANDS (Vieques, Culebra, and a multitude of smaller islands and cays) – Did you know the Spanish Virgins are only 6 miles off the eastern coastline of Puerto Rico? The United States military used these islands for bombing practice until 2003, so there has been little exploitation in term of commercial development – a round-about way to say the islands are pristine and unspoiled. The water is crystal clear, and the reefs are teeming with marine life.Yacht charter tip: Try to plan your luxury yacht charter during the week, and not on the weekend – local boaters from the mainland invade on the weekends! KEY WEST (and the nearby Florida Keys) – This is truly the easiest destination to reach for Americans, as you can get there by plane, car, or even by boat. The southernmost city in the United States, Key West is an island paradise and unlike anywhere else in the country. 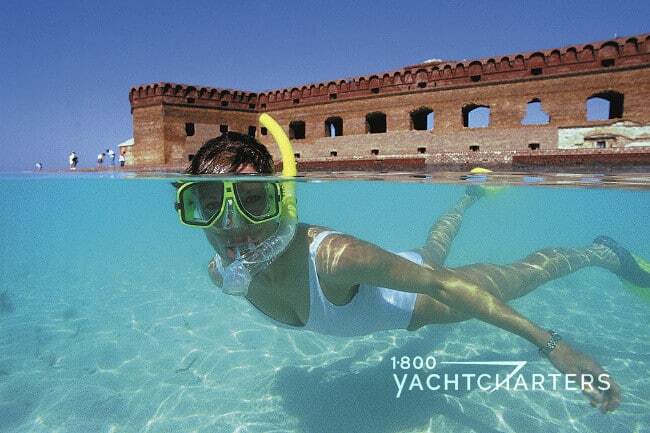 The locals are quirky but fun-loving folks, and there’s plenty of points of interest, and lots of protected anchorages in the adjacent lower Florida Keys chain of islands.Yacht charter tip: many of the world’s largest yachts call South Florida home. A large fleet of luxury yacht charter vessels are based in Miami and Fort Lauderdale. Consider a one-way charter, starting in Miami or Ft. Lauderdale, then cruising south through the Florida Keys and concluding in eclectic Key West. A one-way trip will give you more exposure to the unique charm of the Keys, and you can fly home from Key West International Airport. 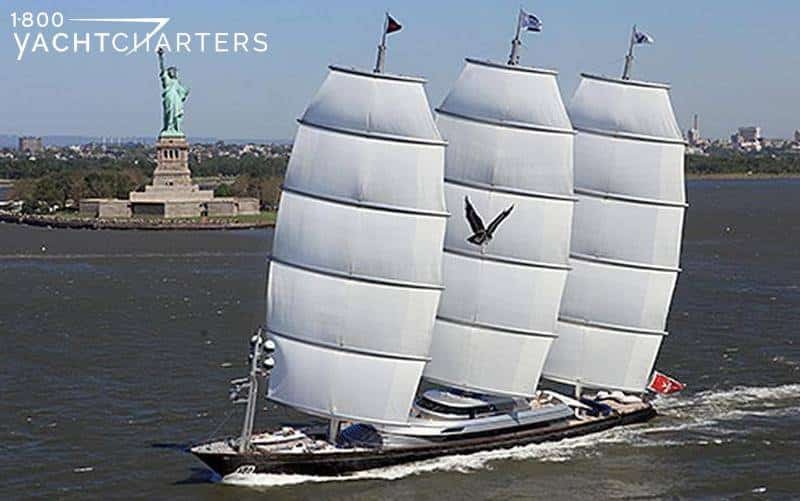 Booking a luxury yacht charter in one of these passport–free destinations is as simple as contacting the charter professionals here at 1-800 Yacht Charters at https://www.1800yachtcharters.com/book-now-contact-us/ . You don’t even need to tell us you forgot to renew your passport – we’ll probably guess, anyway! Just tell us the destination you wish to visit, your desired dates, how many guests in your party, and your preferred budget. We’ll take it from there!!! As the 2013 Atlantic hurricane season draws to a close, a number of sleek, stylish, and modern sailing charter vessels are making their way from ports around the world – to take their positions in the islands for the upcoming Caribbean yacht charter season. We blogged about “Where” is St Thomas. A reader called our charter department to ask “What” to do in St Thomas. Seems like a fair question. 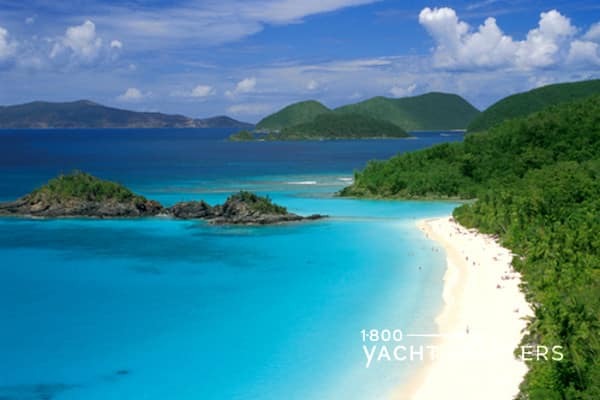 After all, part of the fun of a Virgin Islands yacht charter, is the opportunity to get off the yacht. You can do multiple things, for instance, take in the sights, shop, and meet the island residents. The hub of the United States Virgin Islands, St Thomas, and her bustling port city, Charlotte Amalie, offers visitors the best of shopping, dining, and sightseeing. While enjoying a luxury sailing charter, you’ll enjoy the multitude of things to see and do while visiting St. Thomas. Here are the top 4 things not to be missed while you are enjoying USVI time. Magens Bay Beach – both National Geographic and Conde Nast have pegged this as one of the finest beaches in the world. The bay is almost always calm, the water is turquoise-blue, and the white sand beach is blinding. This is a great place to relax and unwind after a day of sightseeing. For more active visitors, you can rent water sports toys such as kayaks and snorkel gear there. 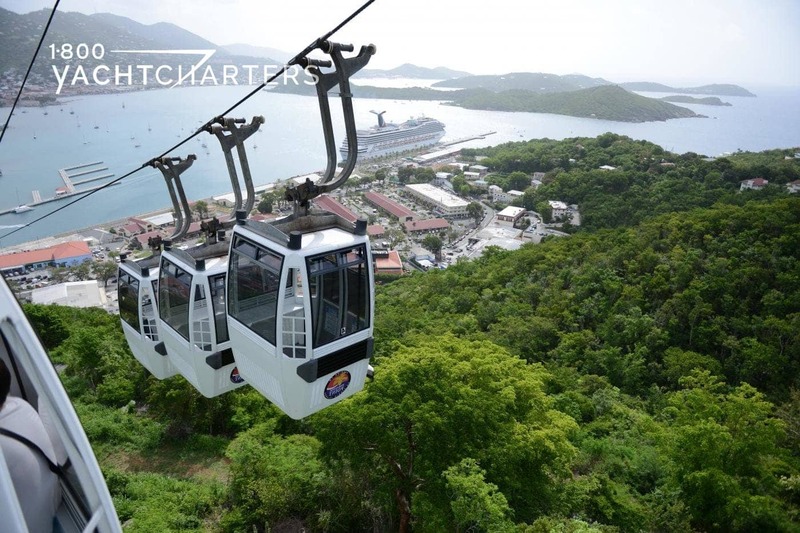 St.Thomas Skyride – similar to the enclosed lifts you see at ski resorts, this unique attraction offers visitors a tram ride up to Paradise Point. It’s a short ride to the 700 foot summit, where you’ll enjoy sweeping views of Charlotte Amalie harbor. At the top, you can not only take in the amazing scenery, but also visit shops and a popular restaurant and bar. 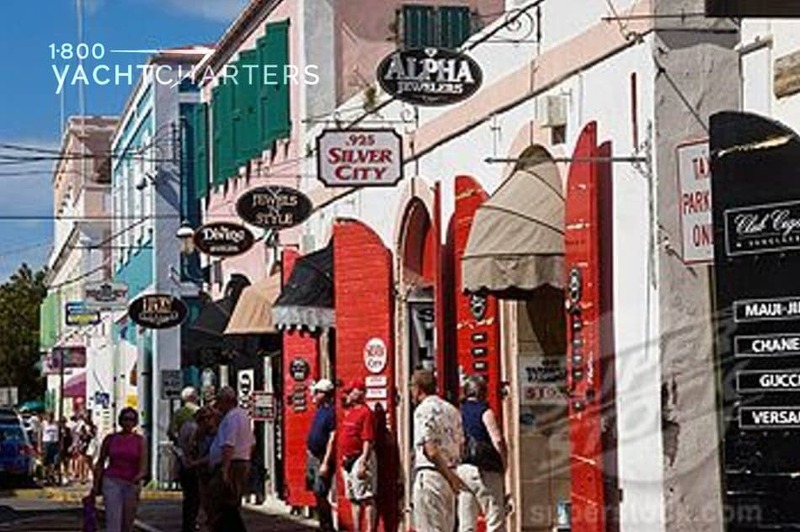 Duty Free Shopping in Charlotte Amalie – St. Thomas is considered the best shopping spot in the Caribbean. Duty free shops are everywhere, offering bargains on goods such as perfume, liquor, electronics, china, jewelry, and clothing. Many of these items can be found at prices that are 40 to 60 percent lower than in the United States. The waterfront area is especially popular. Old seventeenth-century warehouses that once stored rum and spices for wooden trade ships are now home to a variety of shops filled with modern day treasures. St. Peter Greathouse Botanical Gardens – nature lovers will truly enjoy hiking this beautiful estate’s 11 acres. You can follow one of several self-guided nature trails. Visitors will find over 200 varieties of tropical plants and trees, plus an orchid jungle and an art gallery featuring local works by native artists. The gardens are located 1,000 feet above sea level, and a deck in the gardens provides a breathtaking view of the other islands that make up the Virgin Island chain. St. Thomas is a colorful, vibrant island where nature, history, and upscale shopping, come together. They form the perfect vacation destination. Which St Thomas hot spots have we missed? Help us round out our Top 4 picks into a “Top 5” list! Contact us HERE with your favorite places to go or things to do on St Thomas.